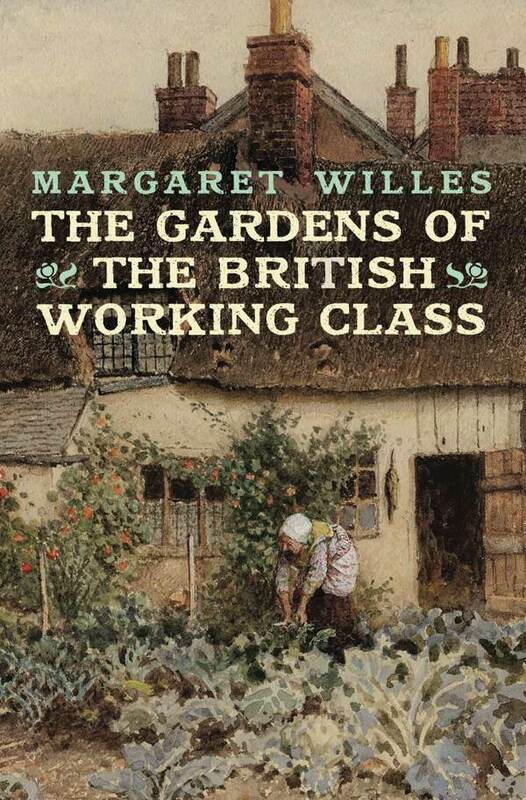 Celebrating the publication of her new book The Gardens of the British Working Class by Yale University Press, Margaret Willes offers this brief horticultural history of the East End. Today Spitalfields and Shoreditch are intensely urban areas but, four centuries ago, the scene was very different. Maps of this era show that behind the main roads flanked by houses and cottages, there were fields of cattle and, close by the city walls, laundrywomen laying out their washing to dry. Many craftsmen who needed to be near to the City of London, yet who did not wish to be liable to its trading restrictions, found a home here. At the end of the sixteenth century, Huguenot silk weavers fleeing from religious persecution in the Spanish Netherlands and France, and landing at ports such as Yarmouth, Colchester and Sandwich, made their way to the capital. 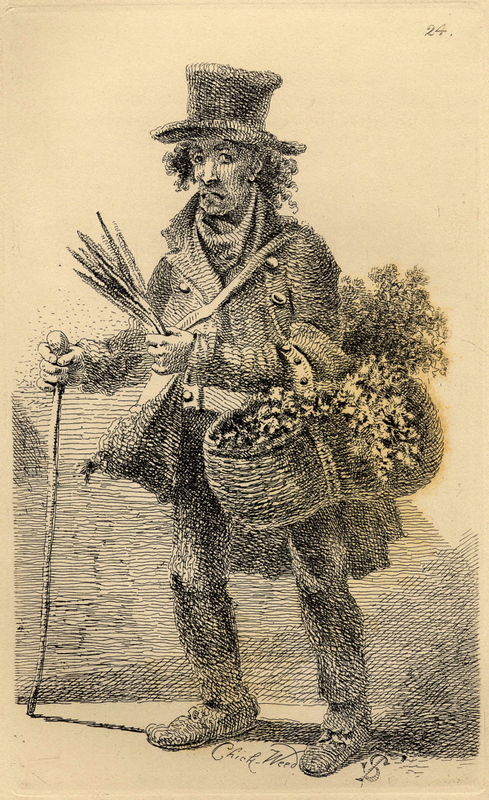 Records of this first wave of Huguenots and their arrival in Spitalfields are sparse, but there are references to them in the rural village of Hackney for instance. Just as these ‘strangers’ took up residence east of London, so too did actors and their theatres. William Shakespeare lodged just within the City walls in Silver St, in the fifteen-nineties, in the home of an immigrant family from Picardie, the Mountjoys, who were involved in silk and wire-twisting. 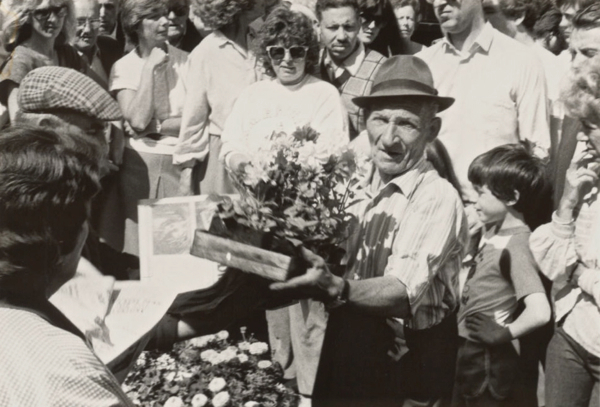 Tradition tells us that these refugees brought with them their love of flowers. Bulbs and seeds may easily be transported, so they could have brought their floral treasures in their pockets. The term ‘florist’ first appears in English in 1623 when Sir Henry Wotton, scholar, diplomat and observer of gardens wrote about them to an acquaintance. 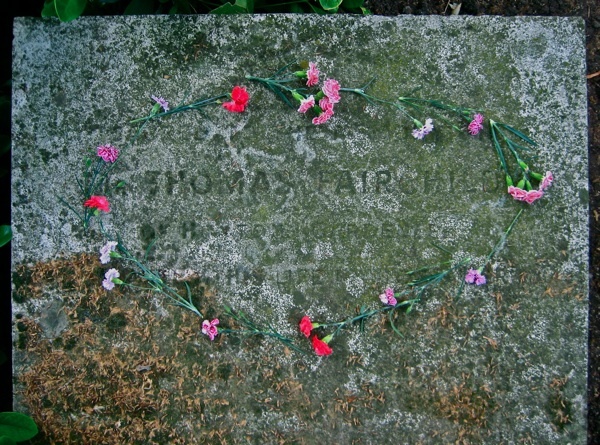 He was not using ‘florist’ in its modern sense as a retailer of cut flowers, but rather as a description of an enthusiast who nurtured and exhibited pot-grown flowers such as tulips and carnations. 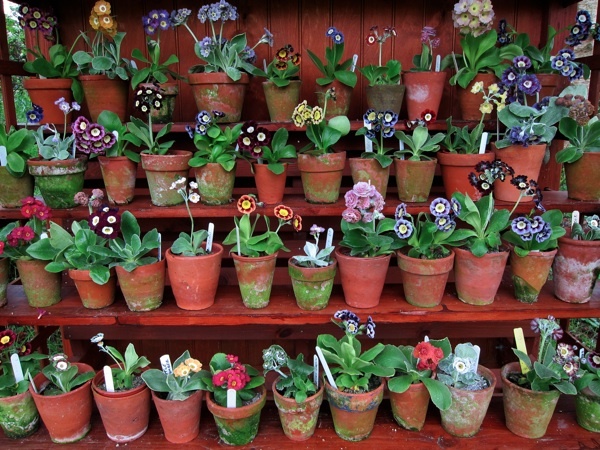 One flower that has been traditionally associated with the Spitalfields silk weavers is the auricula, with its clear-cut colours. Auricalas do not like rain, so those who worked at home were in an ideal position to be able to bring them under cover when inclement weather threatened. 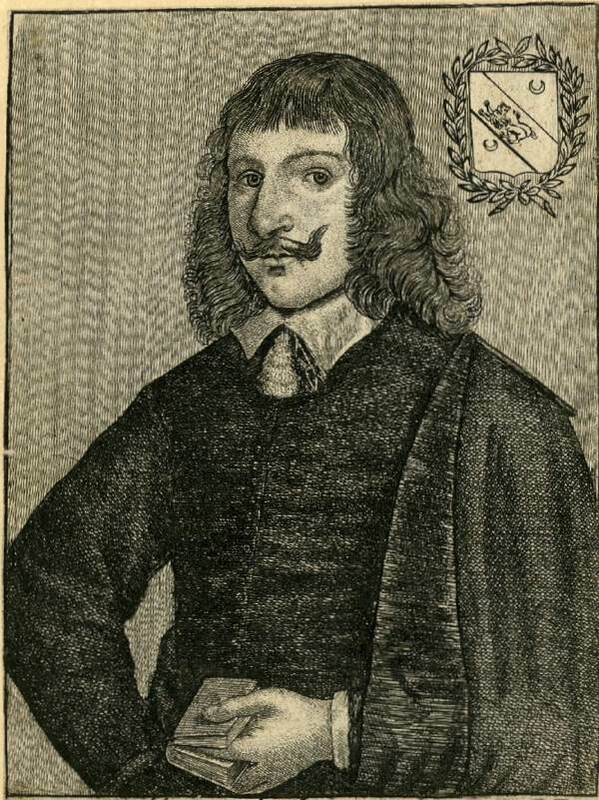 Another ‘outsider’ living in Spitalfields in the mid-seventeenth century was the radical apothecary, Nicholas Culpeper. He set up home in the precincts of the former Priory of St Mary Spital with his wife Alice Ford in 1640, probably choosing to be outside the City in order to able to practise without a licence. A Nonconformist in every sense, he disliked the elitism of the medical profession and in his writings threw down a challenge by offering help to all, however poor they were. He develop his knowledge by gathering wild flowers and herbs, but it is likely he also cultivated them in his own garden. His English Physitian, later known as the Complete Herbal, is one of the most successful books published in the English language and is still available today. 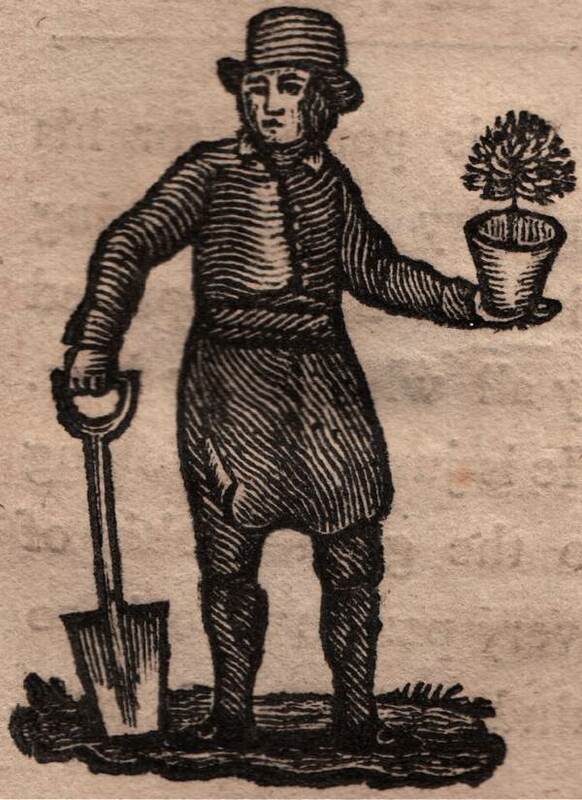 Culpeper’s books are a reminder that the garden has been for centuries the vital source of all medicines and poultices in this country. 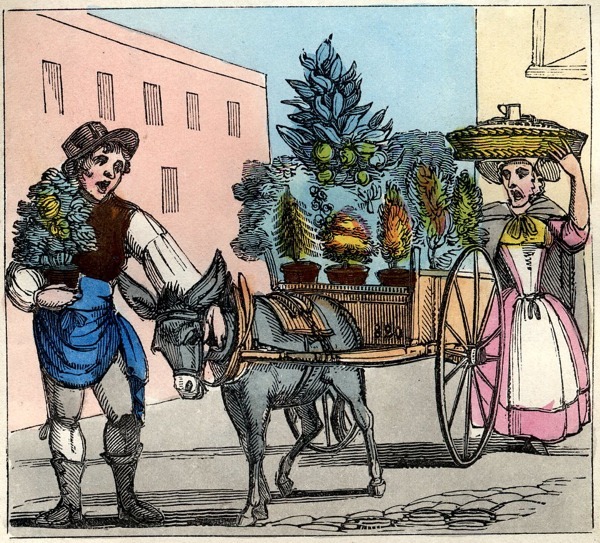 As London expanded, and private gardens within the City walls were built over, so the supply of medicinal herbs for apothecaries and housewives became of vital importance. 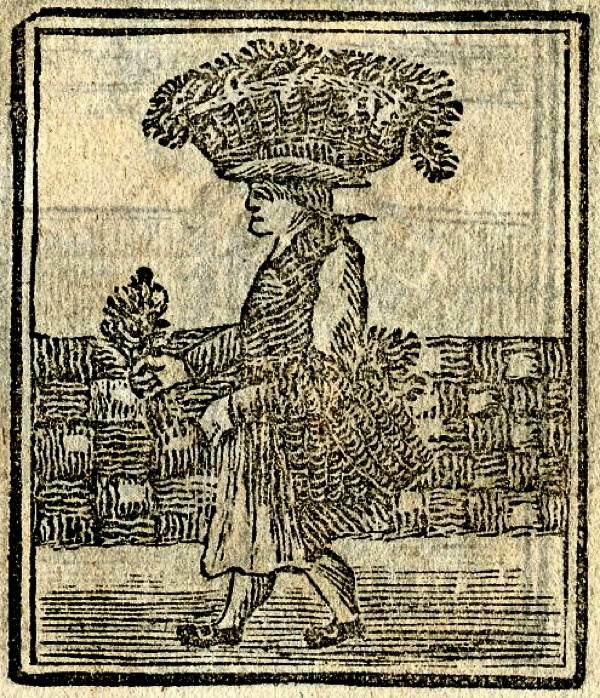 Some of the market herbwomen are mentioned by name in the records of 1739-40 of the Fleet Market along with their places of residence. 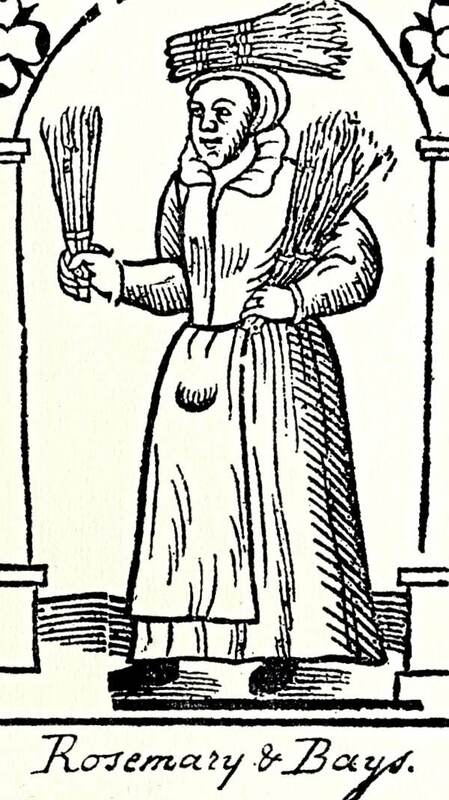 Hannah Smith, for example, came from Grub Sin in Finsbury, but others from further afield, such as Bethnal Green and Stepney Green. 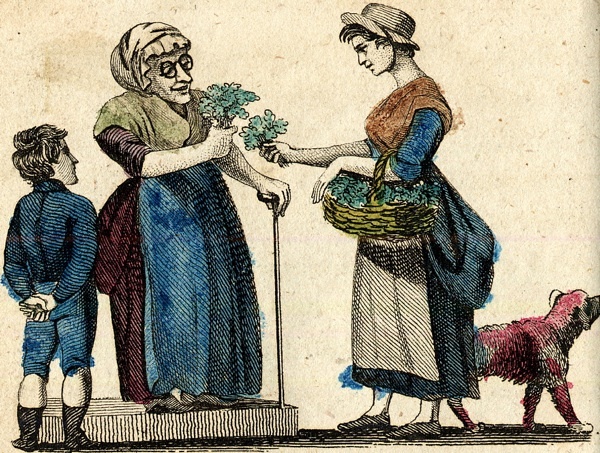 The remedies of the period required large quantities of certain herbs, such as wormwood and pennyroyal, and these women cultivated these as market gardeners. With the Revocation of the Edict of Nantes in 1685 by Louis XIV, a fresh wave of Huguenot refugees arrived, this time from France rather than the Lowlands. 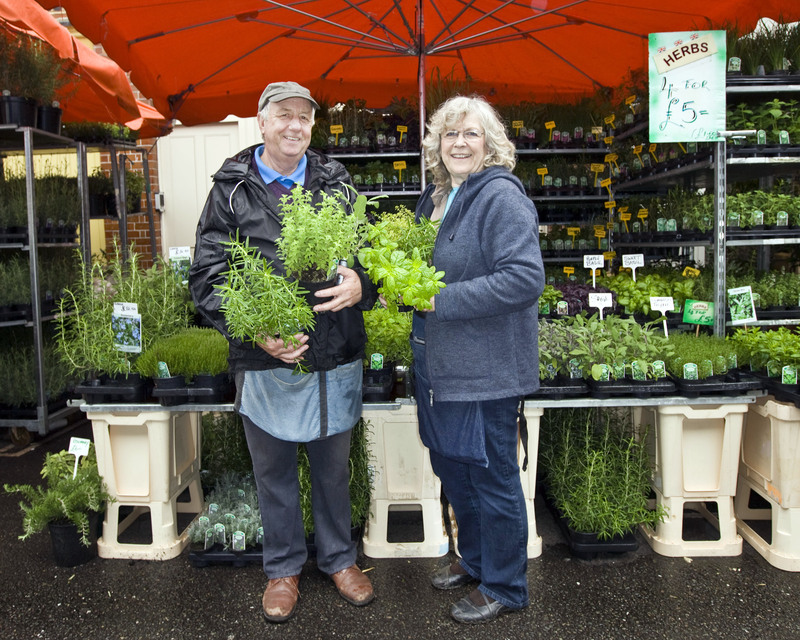 We know much more about these people, including their love of flowers, along with singing birds and linnets, which until quite recently could still be bought from Club Row Market. The French king made a mistake in divesting his realm of some of the most talented craftsmen: gunsmiths and silversmiths as well as silk weavers. The skill of the weavers was matched by their love of flowers in the exquisite silks they produced for court mantuas, the ornate dresses made for aristocratic ladies attending the court of St James. In these designs, a genuine attempt was made to produce botanical naturalism rather than purely conventional floral motifs and although today the most famous designer was Anna-Maria Garthwaite, there were others working alongside her in these streets. As Spitalfields grew more developed in the eighteenth century, so the pressure on land increased and many of the gardens were built over with new houses. Some residents appear to have taken to their rooftops, creating gardens and building aviaries for their birds up there. Thomas Fairchild, who cultivated a famous nursery in Hoxton, recommended the kind of plants that could survive at this height, including currant trees. 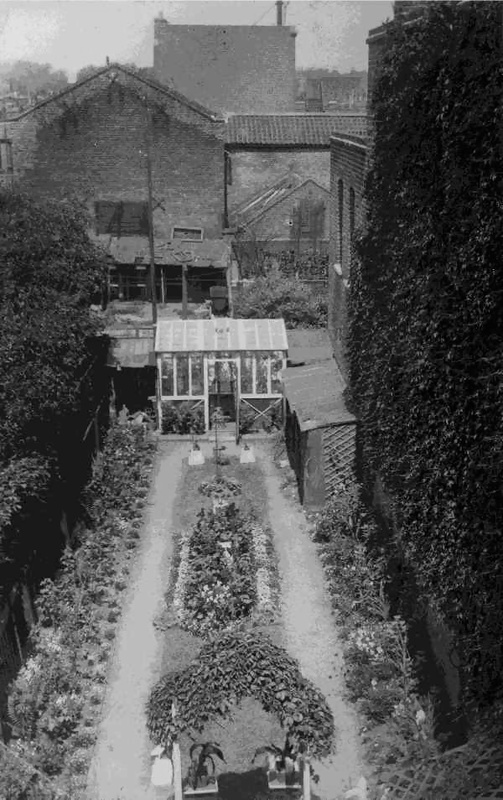 Others created gardens upon grounds along the Hackney and Mile End roads. A commissioner reporting on the conditions of the handloom weavers in the early nineteenth century described one such area, Saunderson’s Gardens in Bethnal Green. “They may cover about six acres of ground. There is one general enclosure round the whole, and each separate garden is divided from the rest by small palings. The number of gardens was stated to be about one hundred and seventy: some are much larger than the rest. In almost every garden is a neat summer-house, where the weaver and his family may enjoy themselves on Sundays and holidays …. There are walks through the ground by which access is easy to the gardens. The competitions held for the finest florists’ flowers were fiercely fought. The Old Bailey sessions records include cases where thieves had broken into gardens not only to steal from the summer houses, but to take prize bulbs too. The Lord Mayor’s Day, 9th November, was traditionally the time to plant the bulbs and, in the spring, judges visited the gardens to make their decisions. But these gardens were doomed, for the eastern parts of London – Bethnal Green, Stepney Green and Hackney – were being overwhelmed by street after street of new terraced houses. The handloom weavers of the area were likewise doomed, as the silk industry was threatened by competition from overseas and by looms powered by machinery in this country. Their love of flowers, however, was not to be dimmed, and a picture of a Spitalfields weaver in 1860 working alongside his daughters in a garret shows plants on the windowsill, while a contemporary account describes a fuchsia in pride of place near a loom, with its crimson pedants swinging to the motion of the treadles. Root plants could be bought from sellers, especially along the Mile End Rd, and cut flowers from Spitalfields Market. At the beginning of the twentieth century, a market specifically for flowers and plants was established in Columbia Rd in Shoreditch. This followed the failure of an elaborate food market built by the philanthropist, Angela Burdett-Coutts in the nineteenth century. 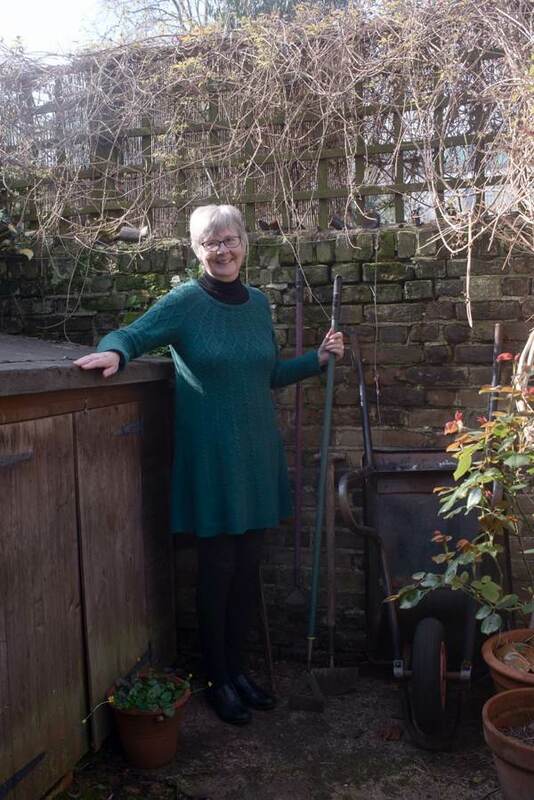 Her project had been based on a prospective railway line to deliver fish, which never materialised, while the traders preferred to sell outdoors and their customers, many of whom were Jewish immigrants, wanted to buy on Sunday. 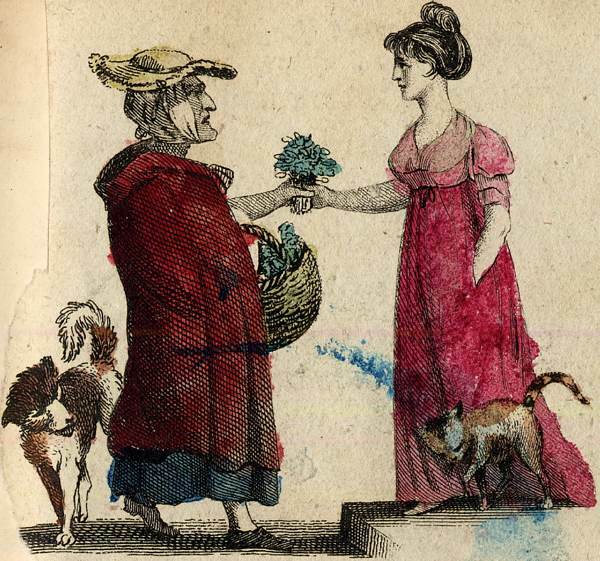 Originally, Columbia Market traded on Saturday but a parliamentary act moved it to Sunday, enabling Covent Garden and Spitalfields traders to sell their leftover stock, and this market flourishes still, attesting to the persistent love of flowers in the East End of London. Well, I can’t see what the cottager is picking from her front-patch on the cover of the book, but the rest of the plants appear to be curly Kale! Still grown, & excellent in soups or “colcannon” if chopped up finely. Thank you for your daily publications, I have been all the richer for them. I have lived my whole life on the open prairie of Nebraska in the USA. This whole area was a flat prairie of grass, higher than a walking man, until a little over 200 years ago. Though I have many ancestors from Scotland and England, I am far removed from their roots and live in a place where even the dirt is young. Very nice — and the cradle of the English garden tradition! Spitalfields Life continues to spread good cheer . . . what a lovely article, it makes me want to collect prints. Also, can I give a plug to the Community Gardens of the East Village, my neighborhood in New York . . . . that’s for anyone visiting the Manhattan in the Spring. I would recommend the 6 B-C as the most beautiful, but they all have a wonderful history, in terms of “gorilla” gardening and use of abandoned public land. Best, Rgr. Thankyou for sharing this wonderful music hall song! Margaret actually quotes from some of the verses in her book, so do look out for a copy if you’re interested to read more about the song and East End history. What a delight to read this!